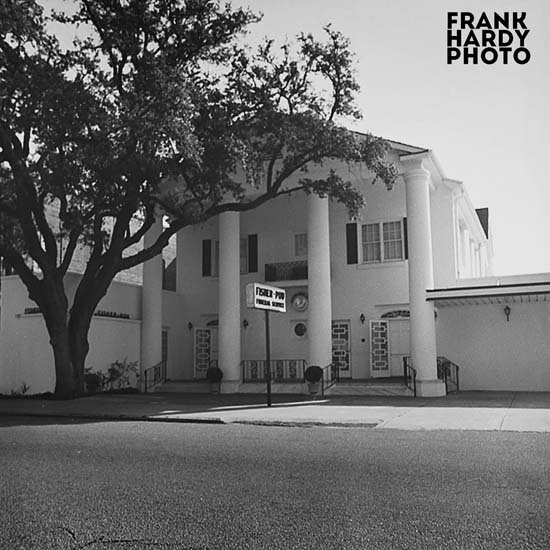 Fisher – Pou Funeral Home was located down on Wright Street across from First Methodist Church. This was made back in the 1970’s, if I had to guess. My father was good friends with all the people who worked there and he used to take me before church started to visit. I remember him telling me this story about a group of gypsies that had a funeral there for one of the “leaders” of their group. My father went down to take some photos of all of the floral arraignments surrounding the coffin. He said right in front of the coffin were two trash cans … one held cold beer and other was for the money that everyone donated to the family of the deceased. My dad said that after that funeral, alcohol was forbidden inside the funeral … go figure. As usual, all comments are welcome and thanks for looking.